* Part 5 of 16: DO YOU (REALLY) WANT FRIES WITH THAT? MONDAY, Aug. 31 (HealthDay News) — Using skin cells from people with type 1 diabetes, researchers were able to produce cells that made insulin in response to changing blood sugar levels, though not as efficiently as normal insulin-producing cells do. 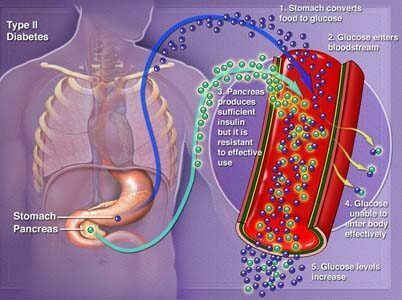 The major immediate implication from this experiment is that scientists now have a preliminary lab model of human type 1 diabetes cells, and the hope is that an animal model of the disease could be developed from this research. Down the road, this finding could lead to a way to replace the islet cells that were destroyed when the disease first developed. via Atlanta health, diet and fitness news | ajc.com.